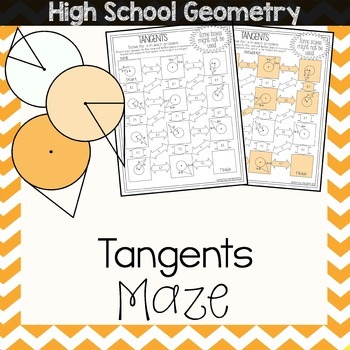 This tangents of circles maze is composed of 11 problems in which students must use the different properties of tangents to solve for x in the circles. 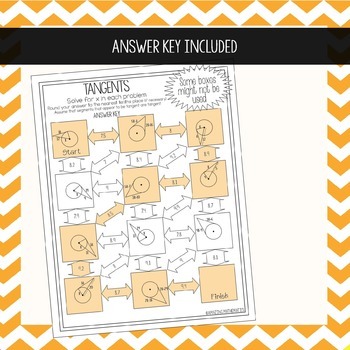 It is a self-checking worksheet that allows students to strengthen their skills at working with tangents. 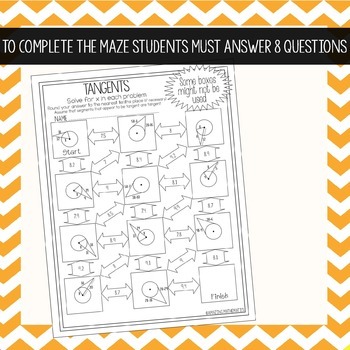 •	Not all boxes are used in the maze to prevent students from just guessing the correct route. 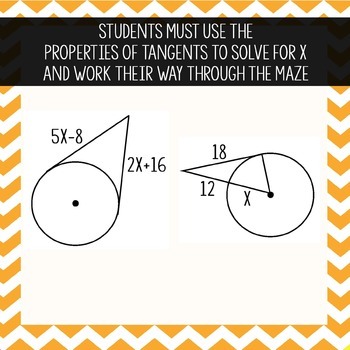 In order to complete the maze students will have to correctly solve 8 problems.